I recently made a cute little set of fingerless mitts and a hat using the Crooked Paths pattern by Melissa LaBarre for a friend’s aunt. I used Dream in Color Smooshy with Cashmere so they would be super soft. 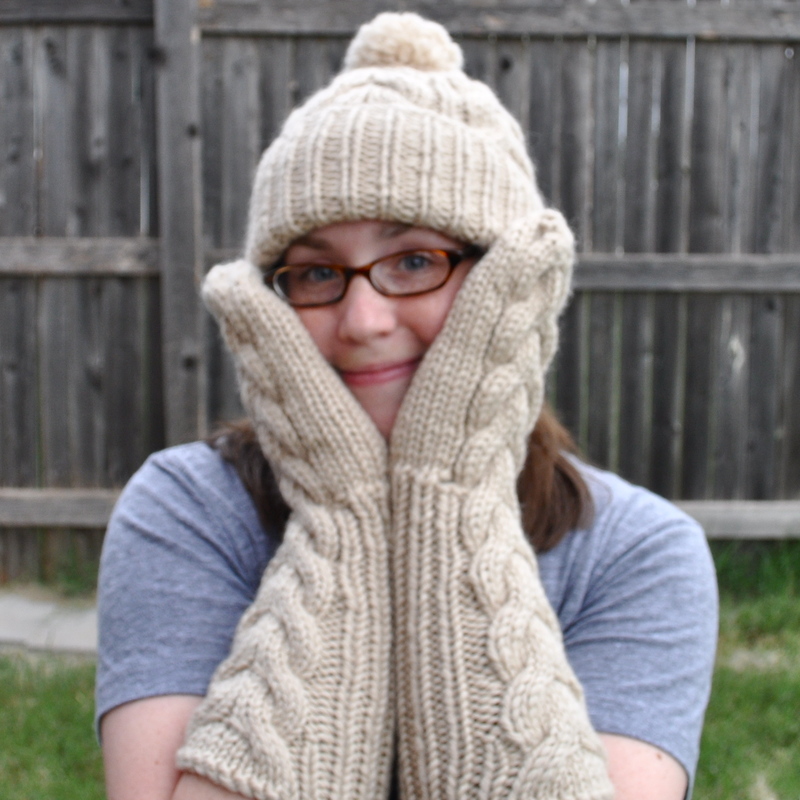 I worked the hat as the pattern is written (except holding the yarn double), and then just used the same stitch pattern on the mitts (but holding only a single strand of yarn). I ended up using almost exactly one skein. I blocked the hat around a 10 inch dinner plate and it worked out perfectly. 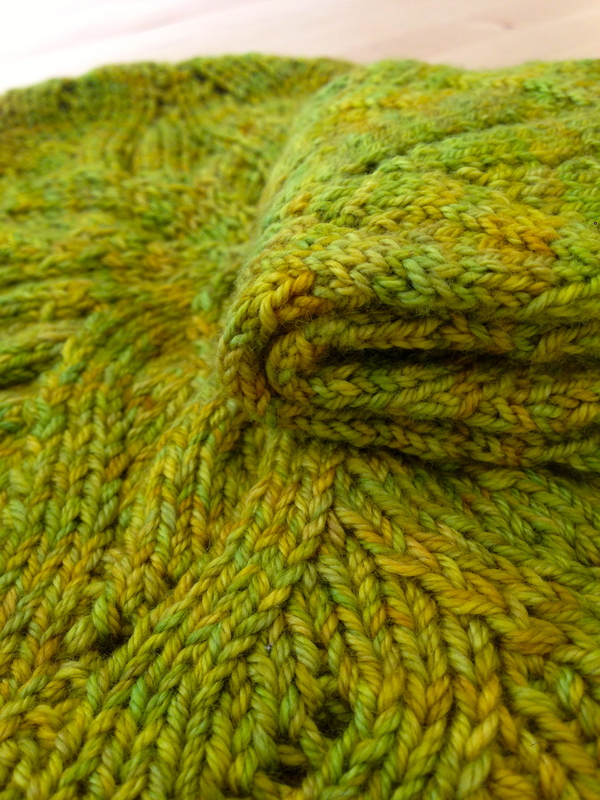 I loved this yarn and the color. It’s the first time I’ve used Dream in Color Smooshy (somehow? ), and it was delightful. 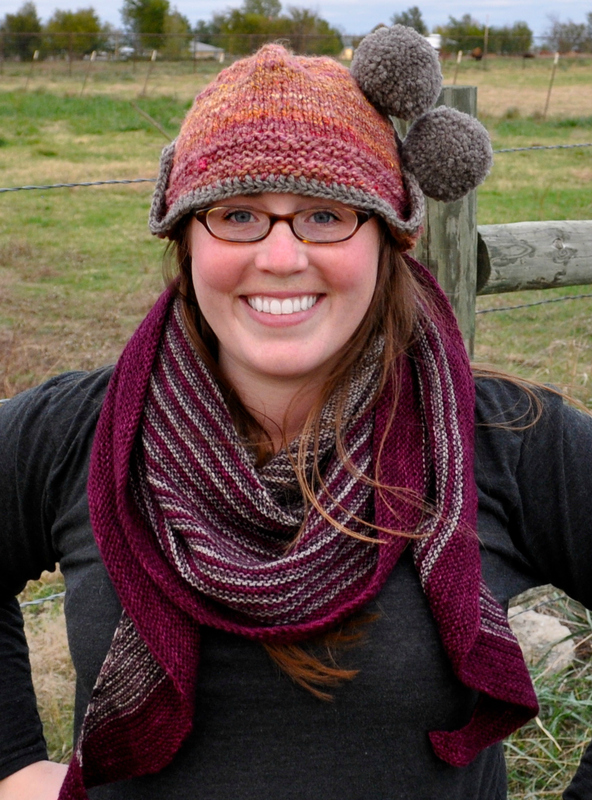 I would definitely recommend both the pattern and the yarn! My first finished object from my own handspun! You may remember a few posts a looong time ago about me trying to learn to spin, and that I was at one time working on a really lovely batt from Brains and Beauty Yarn. 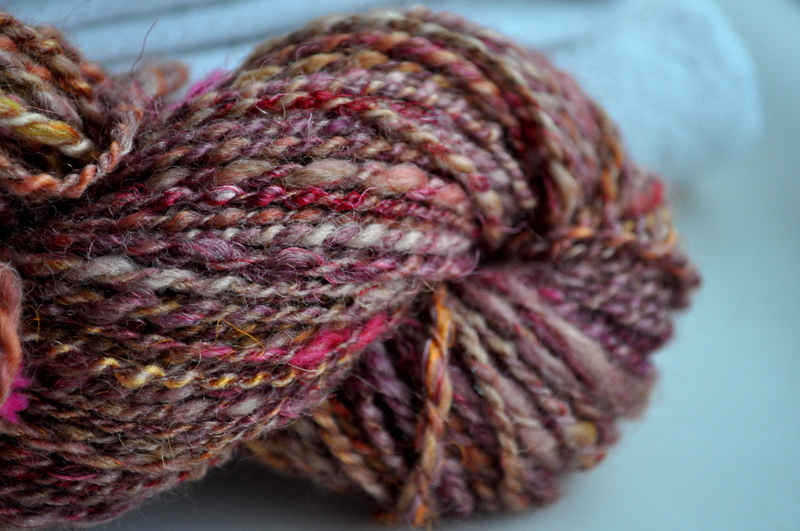 Just to recap, the batt was BFL, silk, sari silk and angelina and was called Autumn Glory. Well, I finished spinning it and it is my best finished handspun yet! And it was actually kind of fun this time (less frustratingly slow). 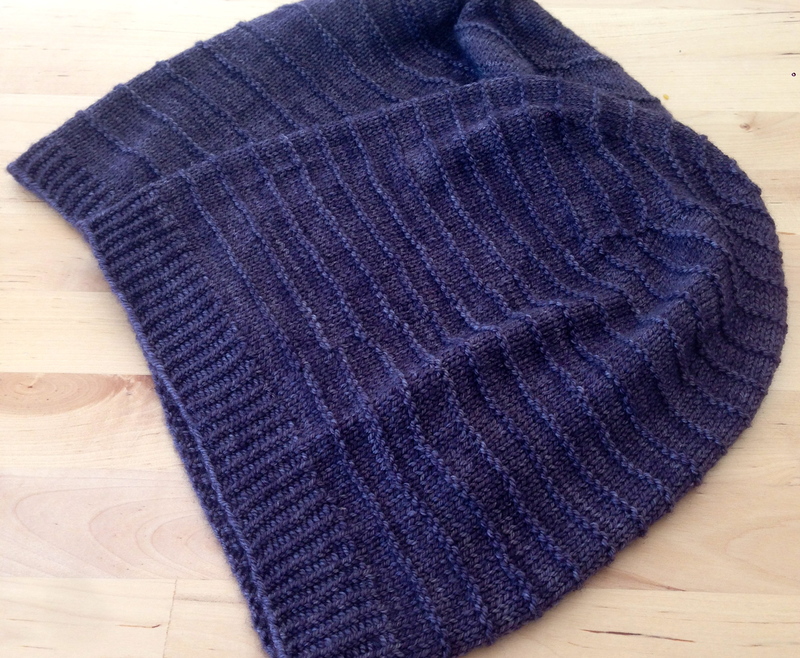 I didn’t have that much yarn in the end, so I decided to make something small and I thought Kirsten Kapur’s Thorpe would be perfect – if I only had enough for the top of the hat, I could finish the garter stitch portion in a different color. As it turned out, though, I had enough for the whole hat and just needed to work the crochet in a contrasting yarn (some left over plymouth yarn homestead from a long time ago (like, before this blog existed) when I knitted a wedding blanket for some good friends). 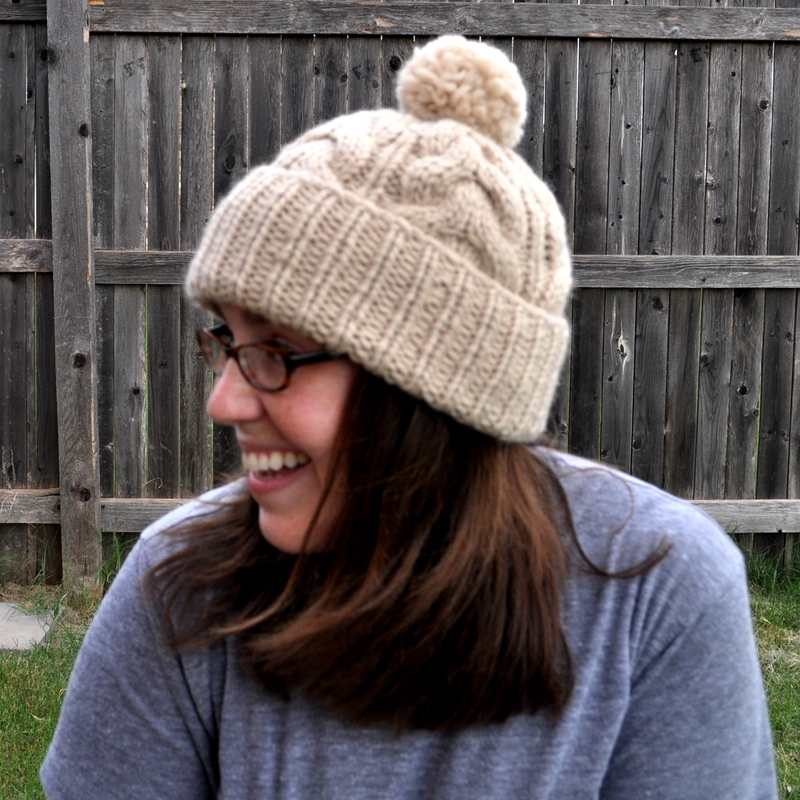 I’m so excited with how this hat turned out – the yarn knitted up very evenly (victory!) and the colors are gorgeous! I also couldn’t resist including some gigantic pom pons at the end of my braids since this was already a really fun accessory. The pattern is worked from the top down and has great little details like the garter stitch edge being longer in the back than the front. 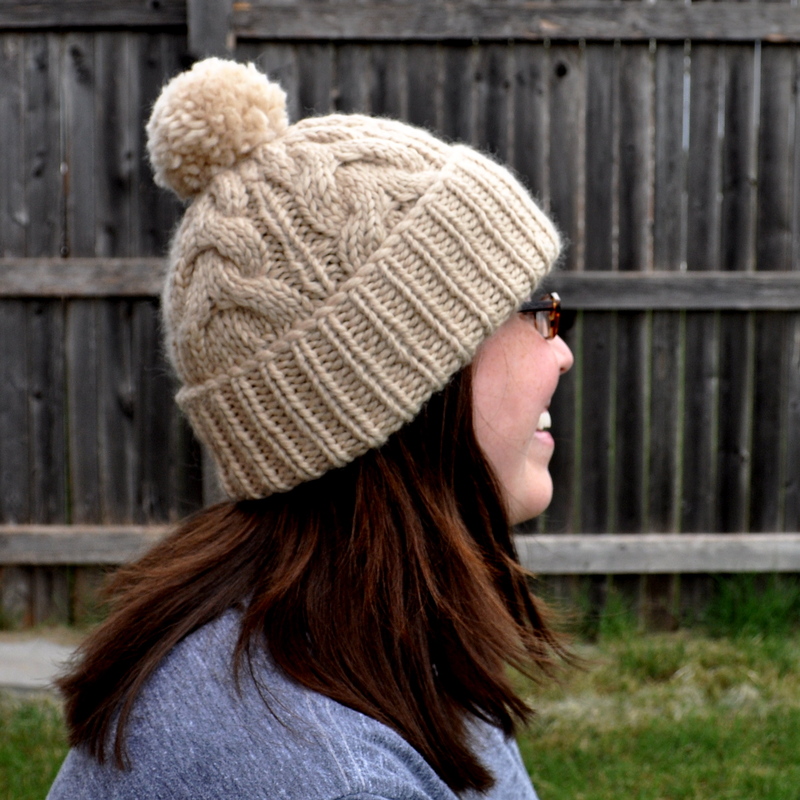 It’s a super simple knit, but really fun and I love the contrasting crochet on the edge. 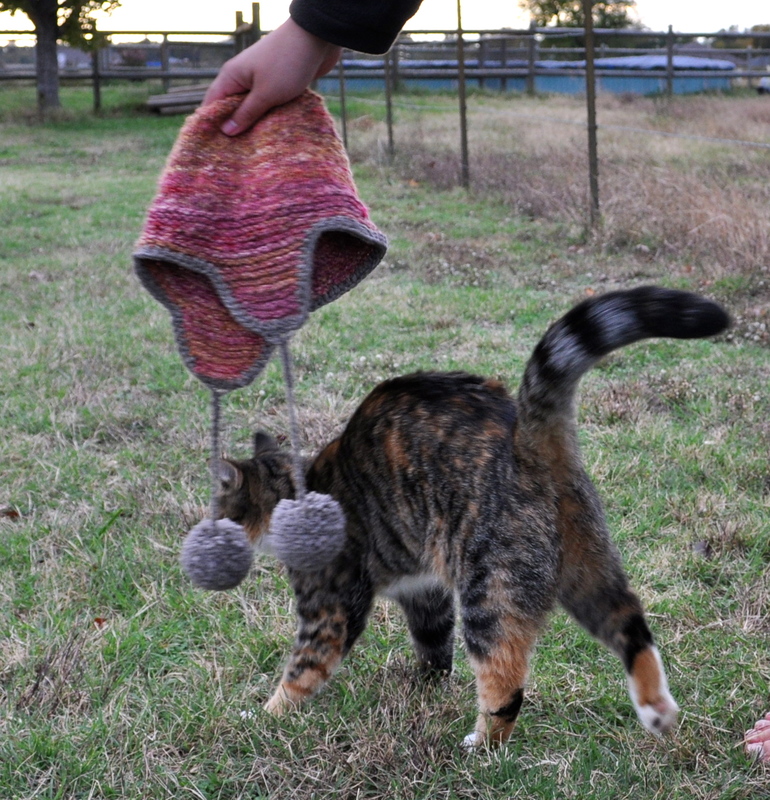 Here’s Sophie enjoying the hat (I tried to get her when she was swatting at it, but this was the best I could do). 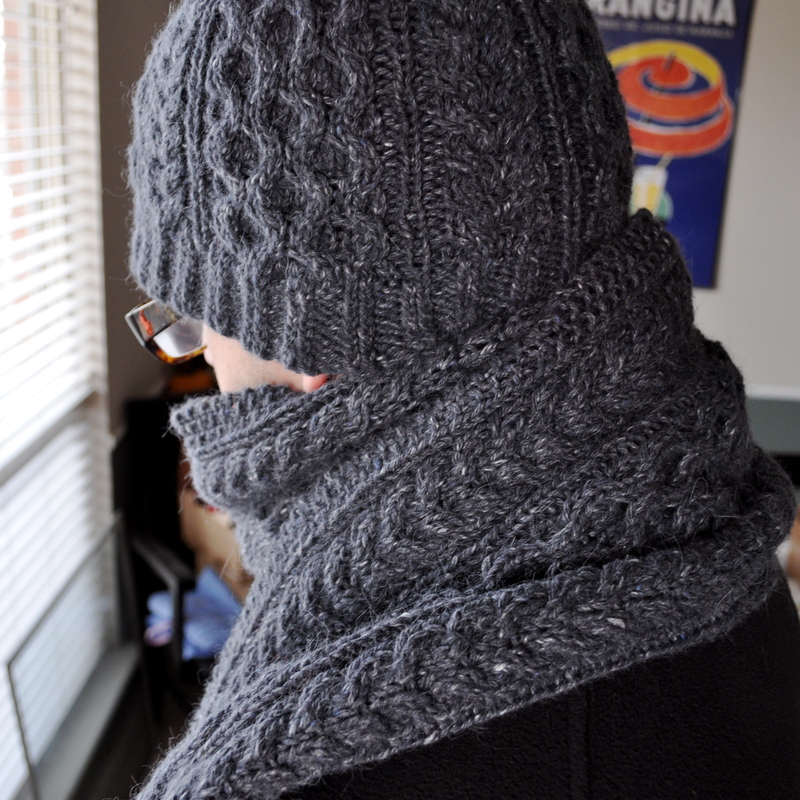 I would highly recommend the pattern, and I just have to say that it is really exciting to see something that started out as a big pile of fluff end up as a wearable object! Obviously Sophie loves the hat, however my family has advised me that I should never wear it like this (otherwise, I think they like it too). 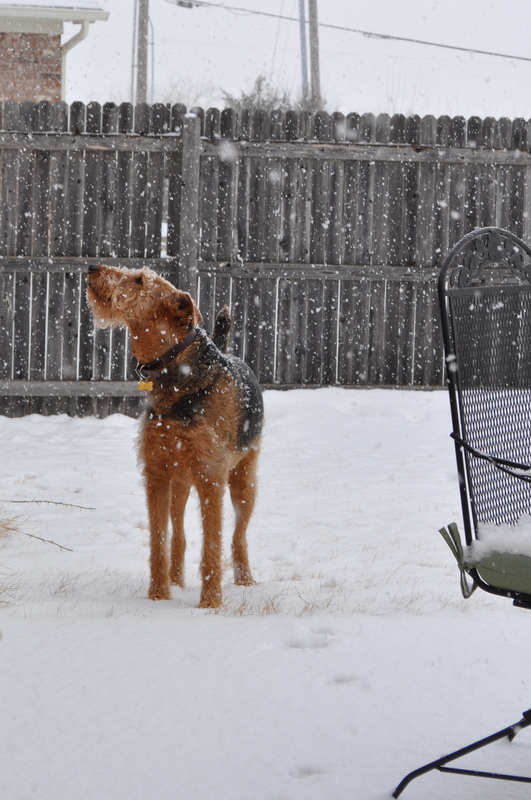 We’ve had a couple of snow days here in Oklahoma (although whoever invented remote desktop connection really killed the whole ‘snow day’ fun for me), so Hugo and I have been hunkering down (like the rest of the country, right?). Oh look, here he is enjoying the snow! At least I can combat the cabin fever a bit by telling you all about my latest project, which I am completely in love with. You see, Sasha is having to face some pretty cold temperatures when he’s in Boston and he doesn’t have a matching hat and scarf set in the charcoal gray family (one of my favorite color families)! I haven’t made anything for him in a while, so I wanted to make him something really nice. We went to a couple of shops to find the perfect yarn and finally settled on Rowan Felted Tweed Aran in soot. 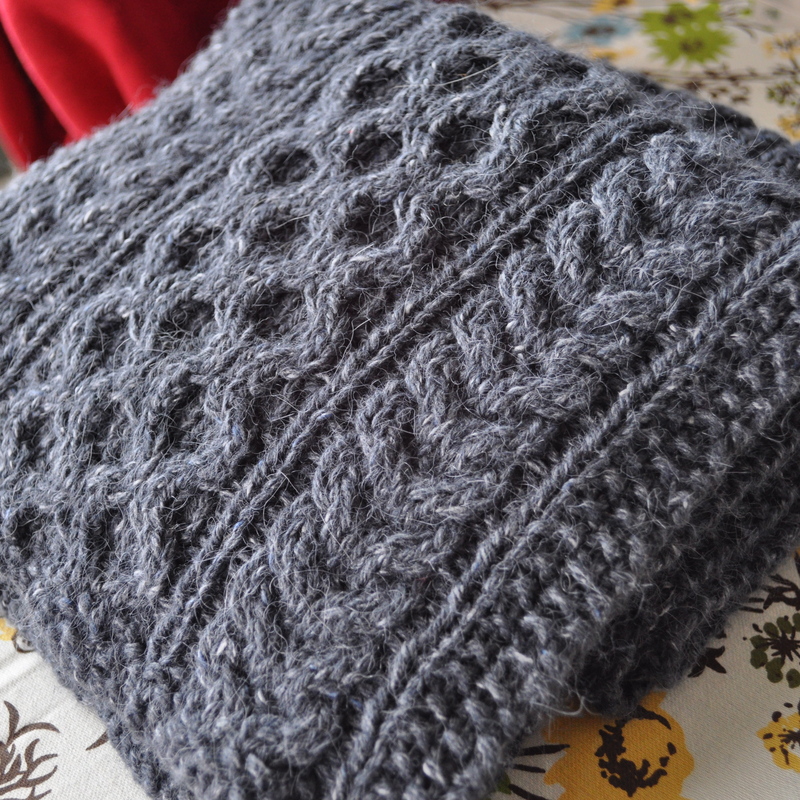 After looking around at hat patterns for a while I remembered this scarf knitted by Brooklyn Tweed a year ago. Once I had this pattern in my head, I couldn’t find anything else that appealed – luckily Sasha really liked the pattern as well! 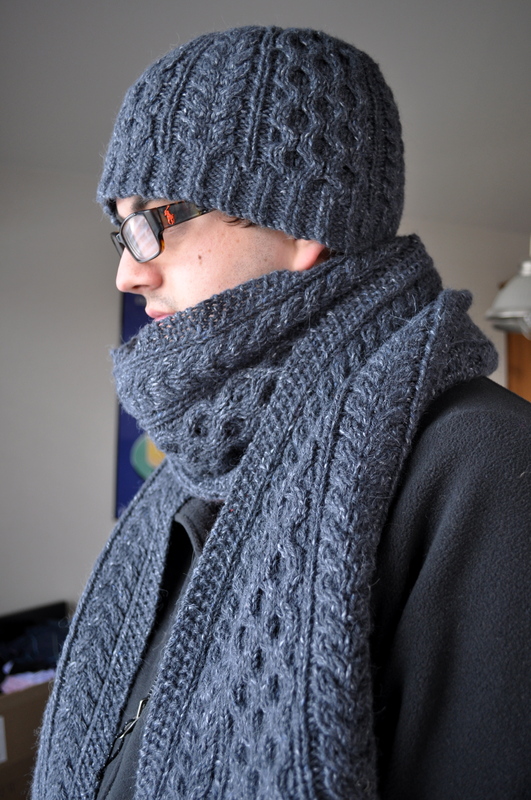 I started knitting the scarf to see if I could get the cables right, then once I had the pattern established I started working on the hat. 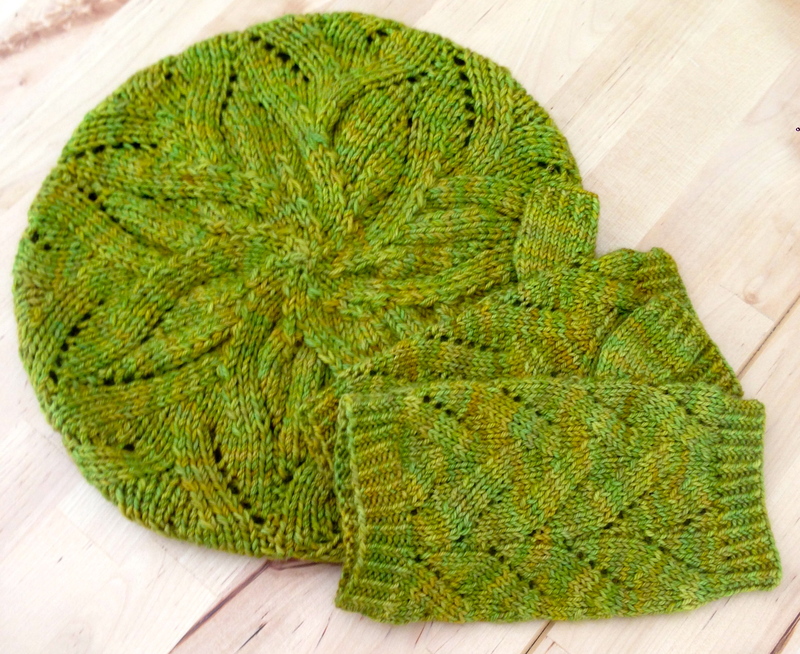 I love how the pattern looks in the Felted Tweed, and it’s really soft and warm. Sasha’s been wearing the hat for a couple of weeks so far without any complaints, and I just finished up the scarf, so we’ll see how that works for him. The hat required a little more than 1 ball of yarn, and then I ended up using 6 balls (+what was left over from the 2nd ball for the hat) for the scarf. The scarf is really long – like, 6 foot 6 inches, which is good since Sasha is tall. 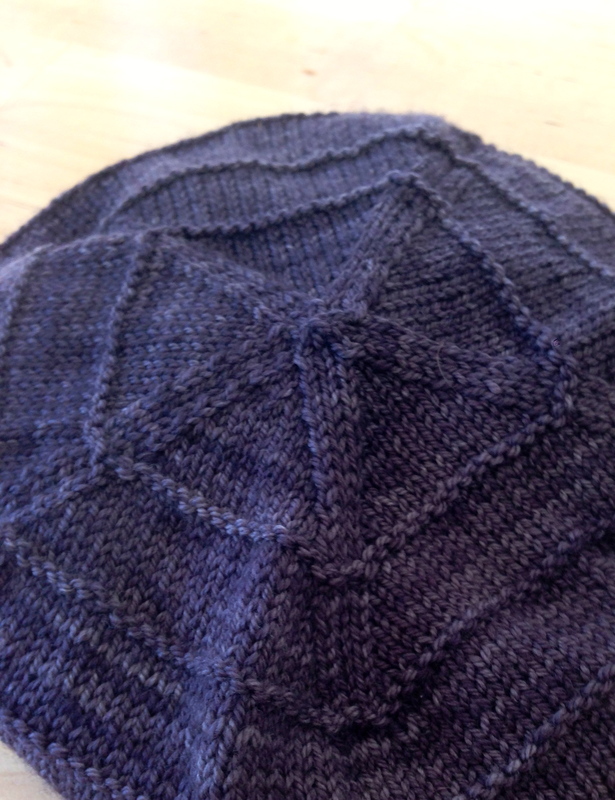 I used my blocking wires to get perfectly straight edges, and to even out the puckering of the seed-stitch borders. You might remember subliminal rabbit’s “Bella’s Mittens” pattern – I happen to have made a pair for myself, a pair for a friend, and now a third pair for that friend’s mom!! 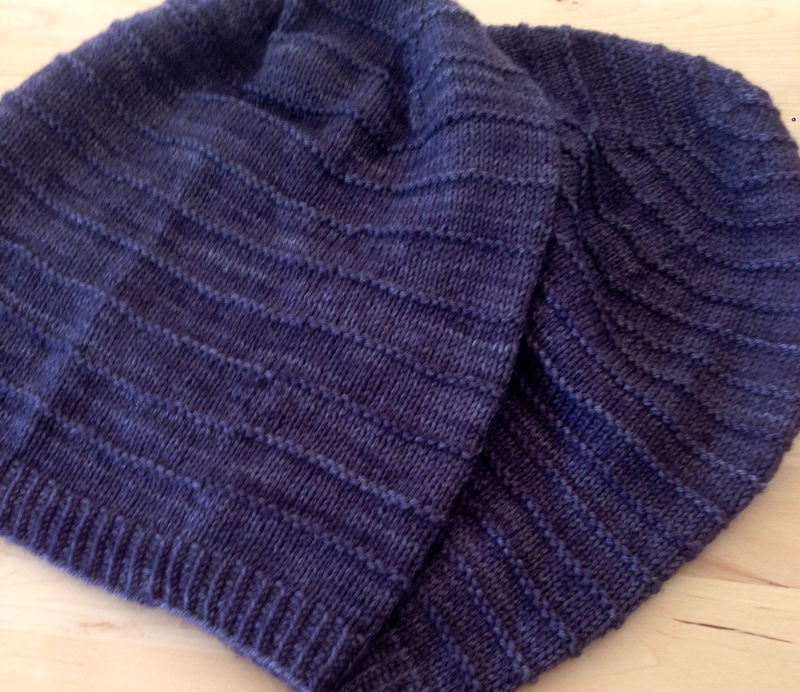 It’s a very fun (and quick) knit, and I love how all the pairs turned out. My first two were both gray (like Bella’s, of course! ), but I’m really liking this last pair that I made in a cream color. And guess what! 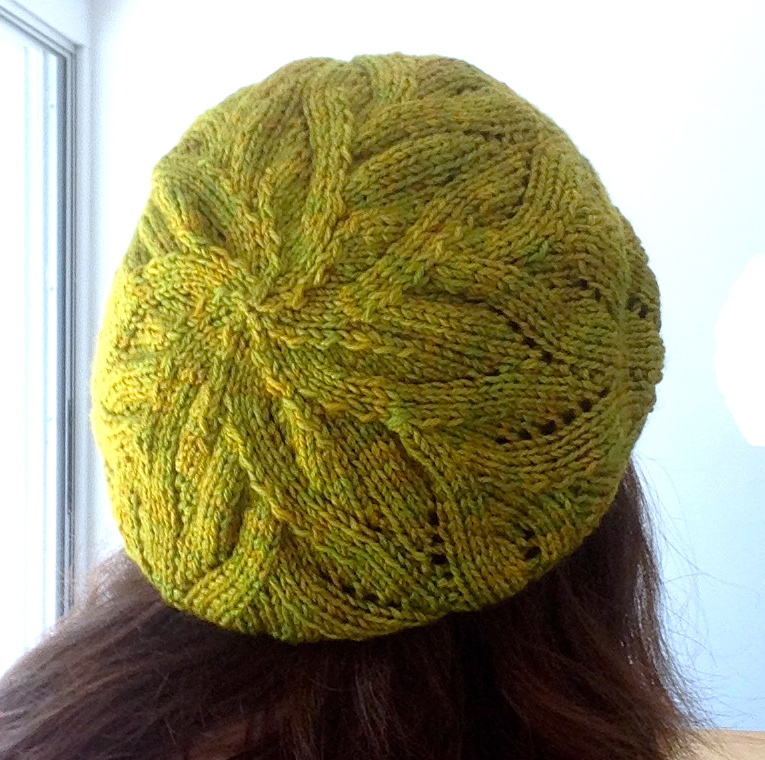 I also made a matching hat! 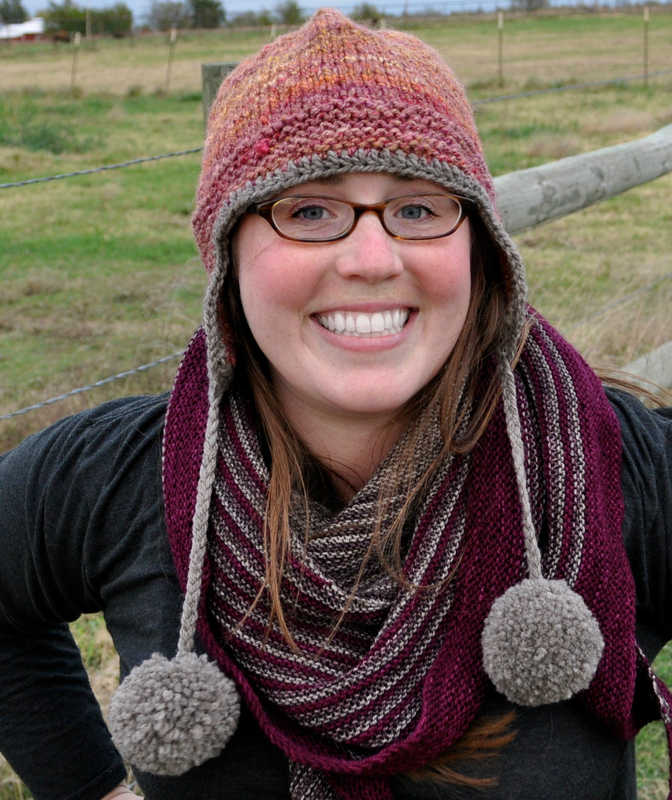 Per the desires of the recipient (I gave her a few options to pick from), this hat has 5 of the large horseshoe cables, a long ribbed cuff that can be turned up to make the hat the right length, and to top it all off – a pom pom! Which is awesome because I love making pom poms. : ) See, mittens and hat (and you can probably tell it’s not actually cold enough to be wearing these since I’m wearing a t-shirt) (definitely looking like a little kid here) . 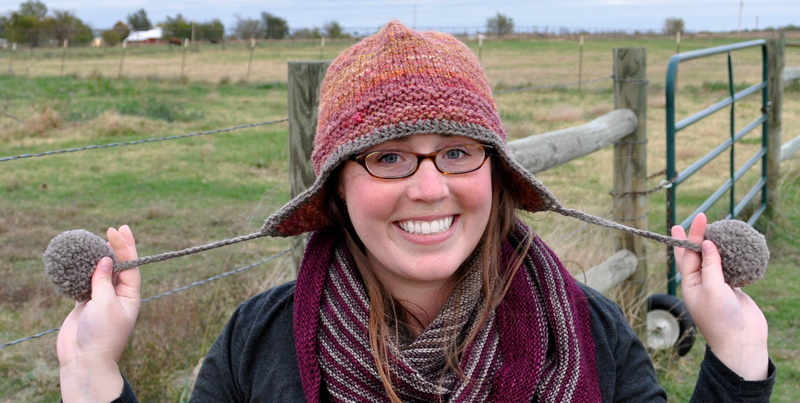 . .
I’m planning to post the hat pattern as soon as I get it written up in a reasonable format. (Right now it’s a few lines jotted in my notebook). If only I ever wore hats, I might even make one for myself! I hope you enjoy them both Cindy, and that they keep you nice and warm all winter! Is it just me, or is it hard to take pictures of hats? When making a simple ribbed hat for my Grandpa for Christmas, I decided to mess around with the ribbing at the top to try to add some interest. Ultimately Grandpa’s hat didn’t end up that exciting, but it did lead to the development of Forest Rib. 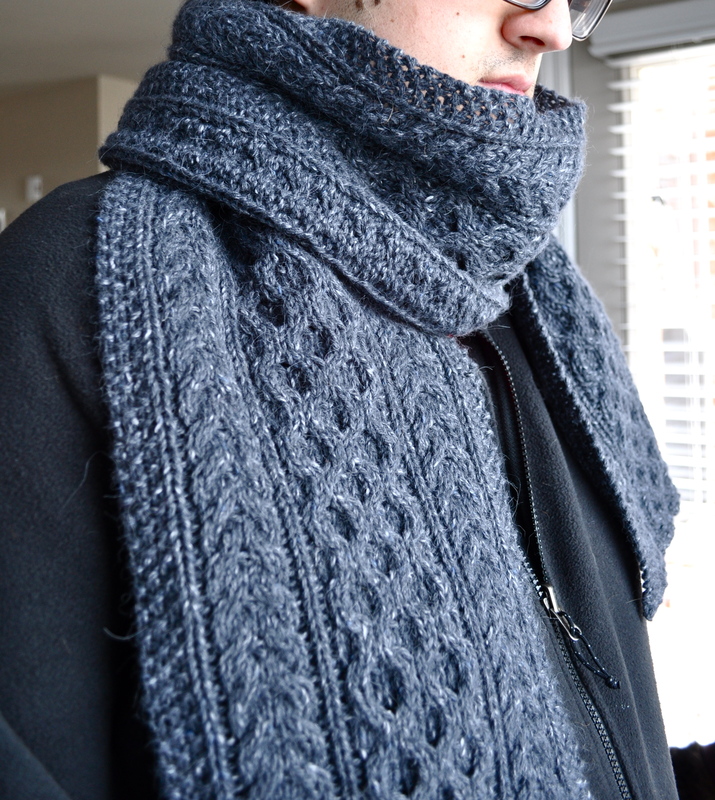 After drawing up a few ideas for the ribbing, I ultimately settled on a four quadrant design. The ribbing in each quadrant is ended at various lengths. The final look reminds me of those pictures looking up at trees and they look all curvy . . .